Corel has announced the release of the second free update for Corel Painter 12, their powerful digital art studio. 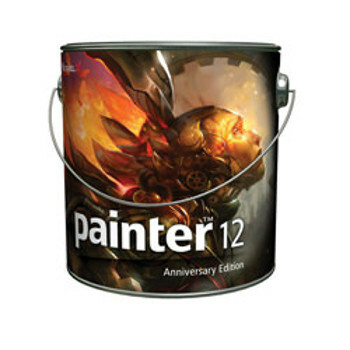 Designed with the creative needs of the painter community in mind, the Painter 12.2 offers new flow maps giving users more control over how paint collects and dries within the peaks and valleys of the canvas. Corel Painter 12 Anniversay CanMulti-touch support for Wacom Intuos5 touch pen tablets and Cintiq 24HD touch interactive pen displays provide a direct way to manipulate the canvas, much like working with paper. Painter 12.2 also includes vertical docking, which gives more flexibility to users when they’re choosing which position is most convenient to dock their palettes. The vertical docking allows the user to drag and drop palettes to the vertical edge of the application window. The multi-touch support enables movements such as panning, spinning and pinching allowing the user to stay focused on the art instead of hunting for quick keys or buttons.